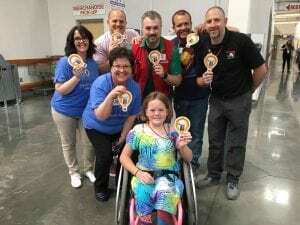 Throughout the month of May Costco warehouses around the United States and Canada sold miracle balloons to raise money for their local Children’s Miracle Network Hospitals. 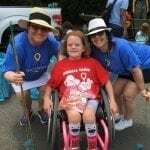 Since 1988 Costco has raised more than 240 million for Children’s Miracle Network Hospitals, with more than 600 locations engaging in fundraising campaigns annually. 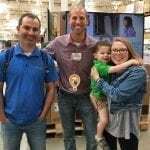 Six Costco warehouses in North Carolina raise money for Duke Children’s – Winston Salem, Greensboro, Durham, Apex, Raleigh, and Wilmington. In 2017 these locations raised a total of $228,000. 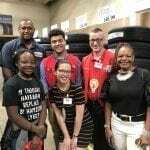 Thanks to the hard work and dedication of the Costco employees at these six locations we are thrilled to announce that this year’s fundraising surpassed $274,000! 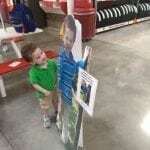 New this year, each Costco warehouse raised funds in honor of a local Duke Children’s patient ambassador. 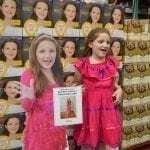 These six miracle children became the face of their neighborhood warehouse, inspiring members and employees alike in the fundraising efforts. 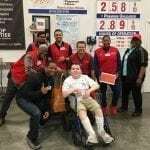 The kids and their families visited the warehouses throughout the Costco Miracle Campaign doing things like – handing out prizes to top fundraising cashiers, participating in special events, singing karaoke, dancing with Darth Vader, and more! 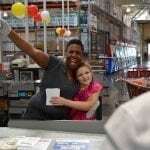 Each year Costco associates find new and creative ways to fundraise for Duke Children’s. 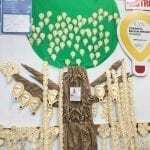 Whether it’s decorating the warehouse in intricate balloon displays or wearing eye catching shirts to inspire donations, employees around the state are dedicated to making a difference in the lives of children. Thank you Costco!